In her third start of 2018, Uni (More Than Ready) won the G3 Noble Damsel to remain undefeated in her 4yo year for Head of Plains Partners, Mike Dubb and Bob LaPenta. Returning to Graded Stakes company for the first time since 2017, she made easy work of the 1 mile test and drew away under a hand ride in the stretch. Post-race, jockey Joel Rosario noted, “She’s a nice-moving filly. 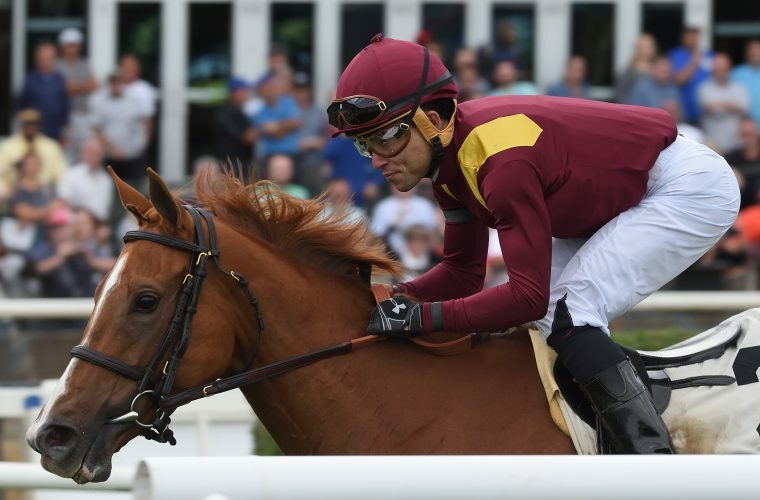 I was only the passenger, she did all the work.” Privately purchased by BSW Bloodstock in conjunction with the Mandore Agency in May of 2017, Uni ran a game third in the G1 Belmont Oaks in her first start in the U.S. Following that effort, she ran second in the G2 Lake Placid at Saratoga finally scoring her first Graded Stakes win in the G2 Sands Point at Belmont in September.